Did You Recover From The Google Penguin Update? 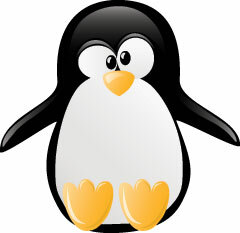 Home > Google News > Google SEO > Poll: Did Your Site Recover From The Google Penguin Update? Poll: Did Your Site Recover From The Google Penguin Update? So we know that 65% of you were hit by Penguin - by you, I mean the readers here. 65% of the sites on the internet were not. The original Penguin update touched down on April 24th. Since then we had two updates to the Penguin algorithm. I believe both were basic data refreshes. The first was on May 25th and the next one didn't happen until much later, on October 5th. We have heard of some Penguin 1.1 recoveries and even a recovery on the last update. So I figured, I run a poll and find out how many of you recovered from a Penguin update. Did You Recover From Penguin? Please have your SEO friends take the poll as well. A WebmasterWorld thread also discusses this with some claiming recoveries after removing paid links and waiting for a data refresh, whereas others have not claimed any recovery. Please take the poll above. Previous story: How Does Google Determine User Metrics For Ranking?